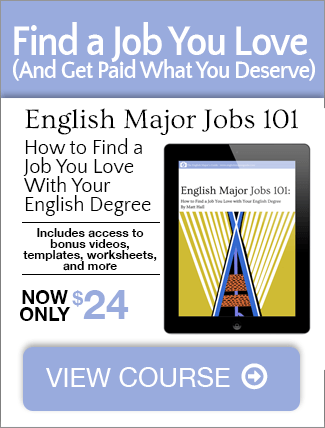 In only a few minutes, you can transform a bland cover letter into an interview magnet. At my day job, my team is hiring a front end/back end developer. In Silicon Valley terms, we’re looking for a “unicorn” – someone with a very unique, very desirable skill set that’s tricky to find. This means we have to be pretty selective when it comes to who we hire. Not reading the job description thoroughly. Some candidates clearly didn’t read our job description and instead focused their application materials on skills unrelated to what we said we need. Not highlighting the right skills. If you don’t list experience/skills that match what we say we need in the job description, I don’t really care about the other skills you have. You haven’t met the baseline requirements. Bad branding. Remember, when you apply for a job, you’re presenting your personal “brand” for your potential employer. Let’s chat about that last item for a moment. Part of successful branding is consistency. I know that Coke is always going to use a specific shade of red and use a specific font in its brand materials. Nike will always use the same logo. You personal brand needs to be just as consistent. In the following video (which will be in the exclusive member section of The English Major’s Guide site), I go through a cover letter with some common problems that clearly aren’t taught in school. In just about 5 minutes (plus explaining along the way), I’ll transform this cover letter from a boring, difficult-to-read letter that’s destined for the trash into an attractive, interview-worthy application.